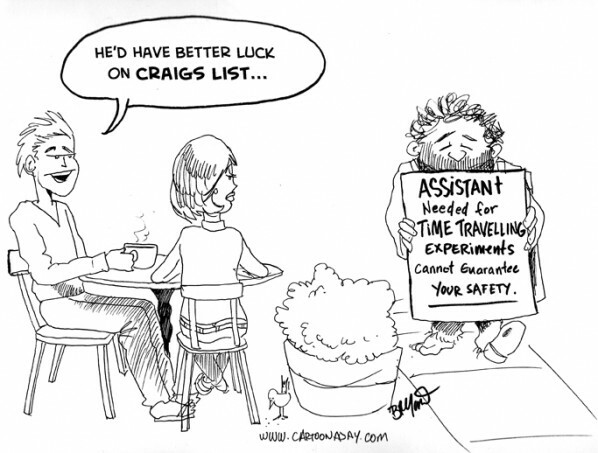 Assistant needed for Time Traveling Experiments. Cannot Guarantee Your Safety. I ‘ve been doing my year in review recap of the most stupid and hilarious stories of 2009. Here’s a 5 minute coffee sketch.